Can I burn my candle? How do I ship my flowers? How many flowers does it take to make a candle? Do all types of flowers work in our candles? Can you make candles with silk flowers? Can you make candles with items other than flowers preserved inside the candle? Can I burn my candle? Yes. However, our pillar wax candles are not intended to burn completely. If you burn your candle, we recommend that you only burn your candle for a brief time, which will create a hollow well in the center of your candle. From that point, use tea lights by placing them in the well and burning the tea light rather than your candle. Our clear gel jar candles have a votive glass insert, in which you can burn your tea lights. How do I ship my flowers? Please see shipping page. How long does it take before I receive my order? Please allow approximately 10-12 weeks from the time we receive your flowers. If you have a rush order, arrangements may be able to be made. Are the candles scented? Yes. We use a gardenia scent. How many flowers does it take to make a candle? For our standard size candle (7"x3"), plan on 10-12 individual flowers needed per candle. Do all types of flowers work in our candles? Some work better than others. If you have specific flowers including Baby's Breath that you definitely want in your candle, please contact us and we will advise you what will work best. 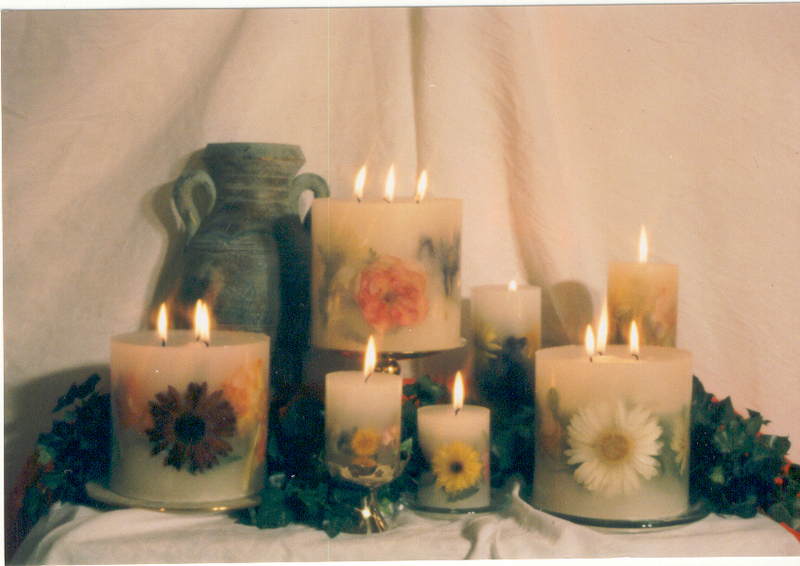 Can you make candles with silk flowers? Yes. This is very common and popular with our wedding orders in preserving the bride's wedding bouquet and/or bridesmaid's bouquets.